NESCA News & Notes: Welcome Pediatric Neuropsychologist Dr. Elizabeth Lops to NESCA! Welcome Pediatric Neuropsychologist Dr. Elizabeth Lops to NESCA! 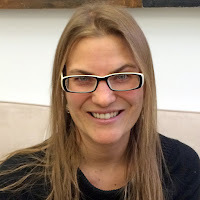 Pediatric Neuropsychologist Elizabeth Lops, Ph.D. joined NESCA in December, 2015. She conducts comprehensive neurodevelopmental and psychological evaluations, and provides psychological and behavioral treatment with individuals with a broad range of developmental, behavioral, learning and emotional challenges. Dr. Lops specializes in early diagnoses of autism in children as early as 12-months of age. In addition, she has a particular interest in working with individuals with anxiety related disorders, self-regulation challenges and ASD. Dr. Lops earned her Ph.D. at the University of Maine, with a specialization in Developmental Clinical Psychology. She completed her pre-doctoral internship at Westchester Jewish Community Services in New York, followed by a fellowship at the Developmental Medicine Center at Boston Children’s Hospital. Prior to her work at University of Maine, Dr. Lops received her B.A. in Psychology at College of the Holy Cross in Worcester, MA and completed her M.A. in Counseling Psychology at Boston College. In her free time, she enjoys spending time with her family and friends, hiking, running, cooking, and practicing yoga.